European Council President Donald Tusk met with the President of Azerbaijan Ilham Aliyev in Brussels on 6 February to discuss cooperation in the trade and energy sectors and to begin negotiations on a new bilateral agreement. “We want to build on our reliable and strategic partnership in the energy field,” Tusk said in his remarks. “Azerbaijan is important for Europe's energy security and diversification of supplies. We have a shared commitment to finalise the Southern Gas Corridor; in fact it is a key priority for both sides. “The European Union is already Azerbaijan's main trading partner and one of its most important investors”, Tusk continued. “We intend to expand these commercial relations further in the coming years. “Our relations go beyond energy and trade: We want to upgrade our relationship and develop its full potential through a new bilateral agreement. 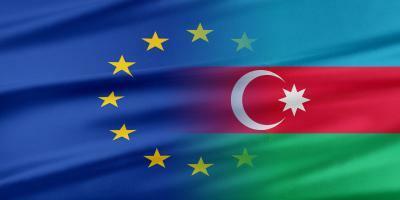 I am very happy to announce that tomorrow the negotiations on a new EU-Azerbaijan agreement will be launched. I wish our negotiators every success,” he said. He also stressed the importance of human rights, fundamental freedoms and an open society for “long term stability and prosperity” in Azerbaijan. During the meeting, officials discussed the peaceful resolution of the Nagorno-Karabakh conflict. President Tusk confirmed that the EU continues to support the mediation efforts of the OSCE Minsk Group.